With the advent of ecommerce in Canada, how can Ozcart™ help Canadians sell to Canadians and to worldwide customers? Opening your online store has never been easier than now. You either use a self-hosted ecommerce system or a hosted one. Ozcart is a hosted shopping cart that aims to provide a multitude of features all the while retaining an easy to use administration area (as we’re told by our clients). Canadian spelling: Presenting a Canadian brand to your market as Ozcart Ecommerce uses mainly Canadian, British, and Australian spelling. Canadian GST/QST/PST/HST configurable: Start generating CRA compliant tax invoices with ease. Ozcart also makes it easy for you to charge any provincial tax you want for your customers. Canadian shipping: Since we know that Canada Post and Purolator are two of the most important shipping providers in Canada, we will be adding them to Ozcart soon. For now, you can make use of UPS and FedEx, along with the multitude of other shipping options, such as shipping by weight, shipping by postal code, multiple flat rate, and so on. Weight and length units: Do you prefer pounds or kilos? Centimeters or inches? Units can be configured easily in Ozcart shopping cart. CAD – Canadian dollars: Sell in Canadian dollars or quickly configure any other currency. Hosting: Our servers are blazing fast with lots of bandwidth and memory. This means that Canadians get a fast website and won’t have to worry about server crashes. Your website is backed up on a daily basis. Native English support: We do not offshore support and do our best to be as attentive as possible to your problems, questions, and feedback. We provide support to Canadians 6 days a week, from Sunday to Friday, via our highly functional ticket system. 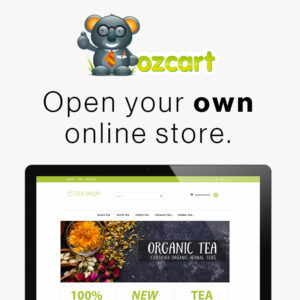 To find out more about Ozcart and how it can help Canadians set up their online business, see our feature tour, and then take a look at our amazing layout designs / themes and start your online ecommerce in Canada today.